The beauty of any language lies in the appropriate usage of a word or phrase. English, too, has its norms and nuances, and one should know the exact meaning and implication of each word. Many words and phrases have intriguing meanings that may not be apparent at first glance. This is a unique book of its kind, making its appearance in India for the first time. It is a diligent compilation of modern phrases currently in use the word over. The illustrative examples make understanding easy. 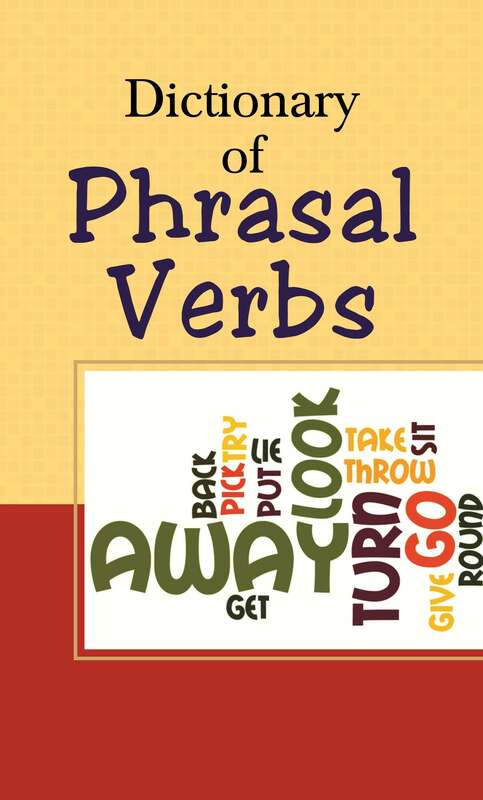 This book of modern phrases will help you hone up your grasp and command over the language and pack a punch in your speech and writing. A must for all those who wish to improve their English and communication skill. “Nick Renton’s new dictionary of stock exchange and investment terms has been extensively revised and expanded and I am sure it will provide a useful reference for all those investors who want to demystify the jargon and understand the terminology” -Maurice L Newman AC, Chairman, Australian Securities Exchange This dictionary and Almanac is an essential reference tool for stock and property investors at all levels, from beginners to professionals and from students to retired persons. It cuts through the jargon so often used by stockbrokers, estate agents, financial planners and the media. 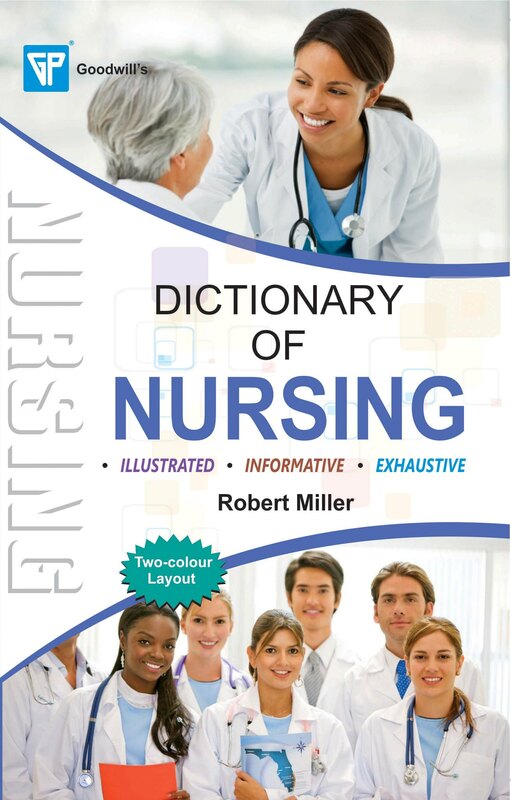 This new enlarged edition has been updated to the middle of 2008 and now contains about 3300 terms. Abbreviations - an area of great puzzlement to many investors - are also extensively covered. The dictionary now contains many terms not found in similar works. Description Have you ever been baffled by Computer terminology? Feel you are out of touch with new concepts and ideas? Want a quick and easy to understand reference. If so, Computer Dictionary is for you. 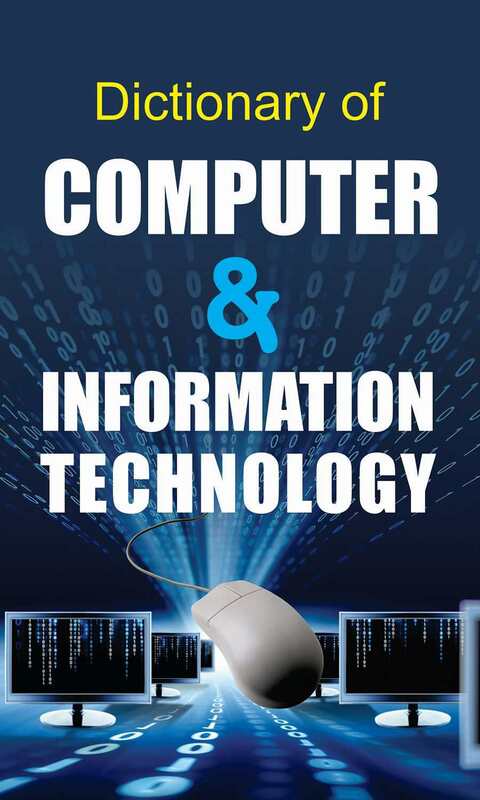 It is written for all computer users and is invaluable reading for everyone involved with computers. It is an authoritative, yet highly readable, reference source on all aspects of computers, computing, database and information managment. My ABC Picture Dictionary - a good way to increase vocabulary of pre-schoolers. Beautiful pictrues makes them recognize many things. First Pictorial Dictionary - introduces a pre-scholers to a lot new words starting with alphabets. The bright, colourful pictures make the words easy to understand. Super Picture Dictionary with its colourful pictures impresses not only the children but also the teachers. Words incorporated in the book are from the everyday life. The Junior Picture- Consists of 80 pages of amazing words that the child is likely to come across in his day to day transations. An enjoyable learning experience for the inquisitive and curious mind. Kids’ First Dictionary of 500 Words is a learning ladder to enhance the word power of young minds. A perfect tool for the age group of three to four years children to enrich their vocabulary with a simple definition and extremely beautiful images. Kids’ Second Dictionary of 1000 Words is the perfect reference for English Words specially designed for the age group of five to six years. Over 1000 words with beautiful images help a child associate word with objects. 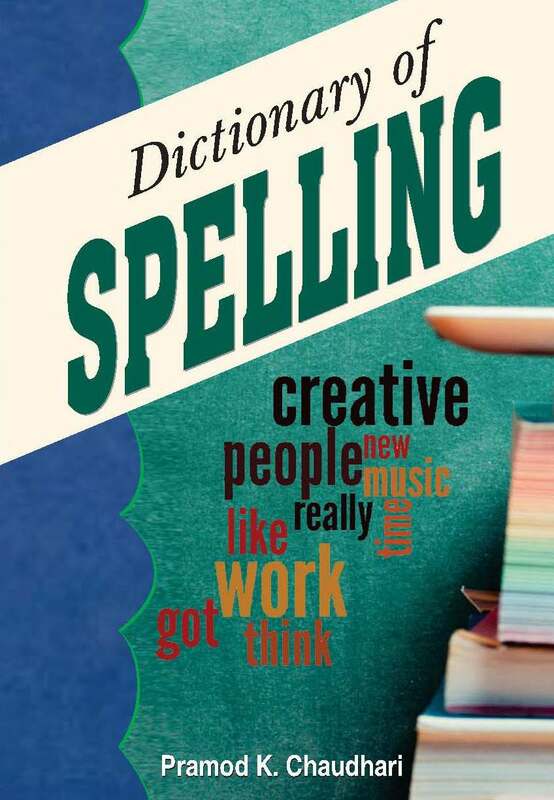 Kids’ Dictionary – 2000 words – a perfect learning tool for young learners. This book has been designed to help the young minds enrich their vocabulary in an easy and effective manner, with the help of more thank 2000 colourful pictures to develop their interest in language. The word list has been carefully chosen and linked with simple definition to make it easy to grasp. Kids' Fourth Dictionary of 5000 words endeavours to define the words in a simple and lucid manner. Images help to enhance the grasping power of children. Book for children of the pre-school level aimed to be fun and educational with early vocabulary words. Simple text and bright pictures make the book perfect for early learners. This book presents the English Grammar in the form of a dictionary/thesaurus and its best suited for ready reference for any grammatical terms for its definition, types, usage and examples. 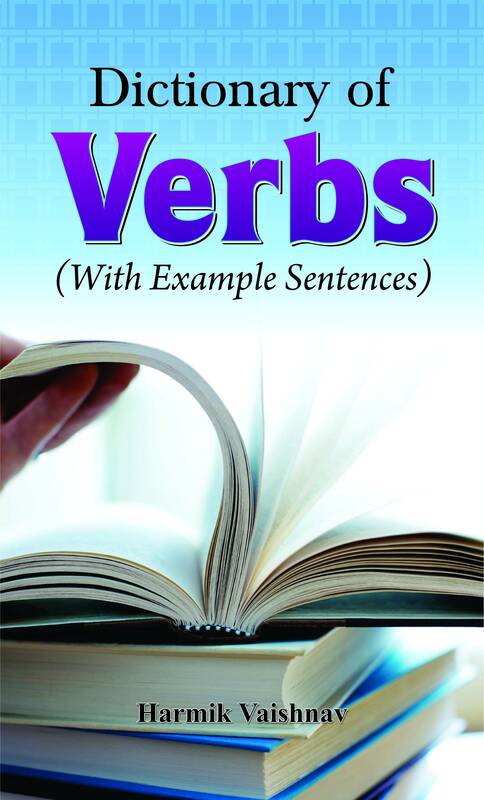 It is sure to come in handy for gaining an in-depth mastery of English Grammar. The author is sure that the book shall speak for itself. Synonyms and Antonyms are an important part of the English language. They greatly help develop one's vocabulary and word power. They have the potential to equip the student with ability to choose the right word for the right expression. 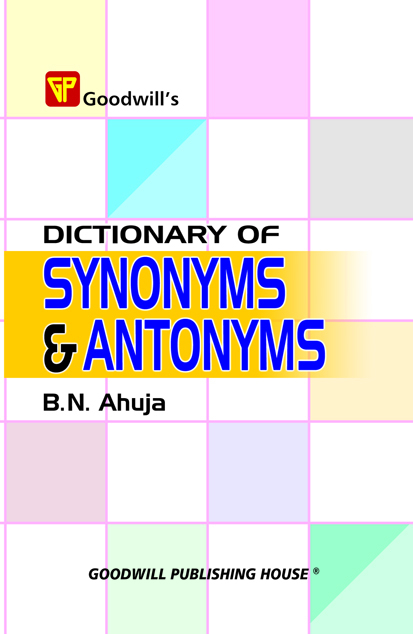 The Dictionary of Synonyms and Antonyms is the ideal work of reference for both home and office. This book has been designed to cater to the longfelt needs of the students studying at schools, colleges and universities, and the candidates for competitive examinations and many other Boards and Agencies for recruitment to various services throughout the country. This book has been designed to cater to the longfelt needs of the students studying at schools, colleges and universities, and the candidates for competitive examinations conducted by many Boards and Agencies for recruitment to various services throughout the country. 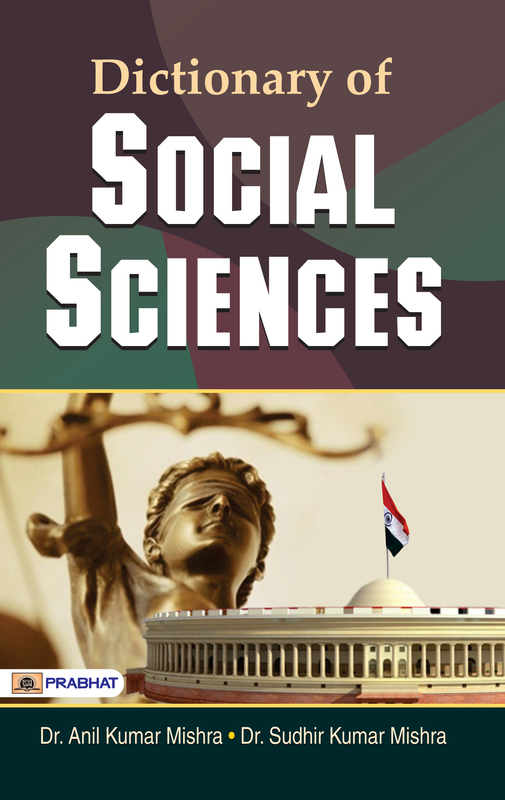 A Comprehensive book has been designed to cater to the longfelt needs of the students studying at schools, colleges and universities, and the candidates for competitive examinations. 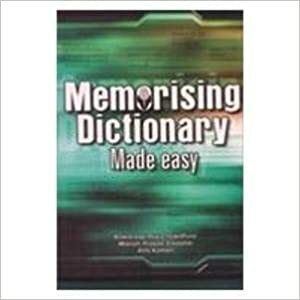 This dictionary is very useful for Secondary and Senior Secondary Students. 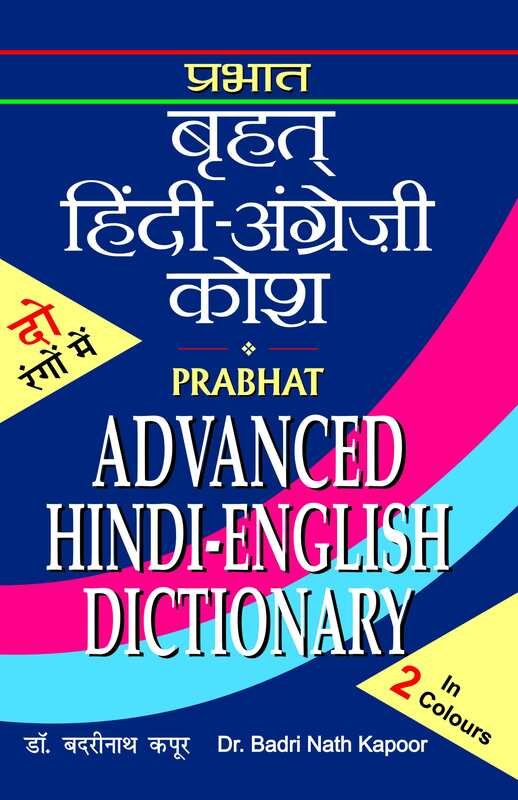 This comprehensive dictionary also useful for Competitive Examinations. 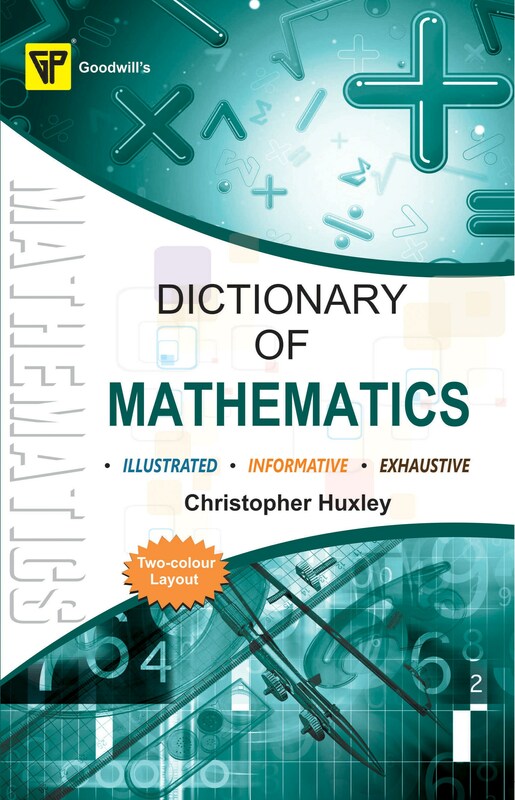 This Mathematics Dictionary is very useful for Secondary & Senior Secondary Students and Candidates Appearing for Competitive Examinations. This book is very useful For Secondary and Senior Secondary Students and Candidates Appearing for Competitive Examinations. 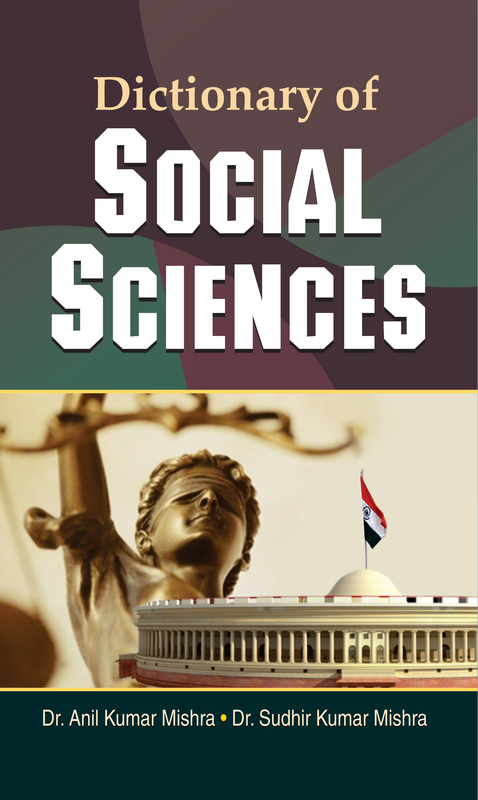 This book has been designed to cater to the longfelt needs of the students studying at schools, colleges and universities, and the candidates for competitive examinations conducted by UPSC, SSC and many other Boards and Agencies for recruitment to various services throughout the country. Biotechnology is highly multidisciplinary; it has its roots in many fields simultaneously including biology, molecular biology, biochemistry, microbiology, genetics, chemistry and chemical engineering. 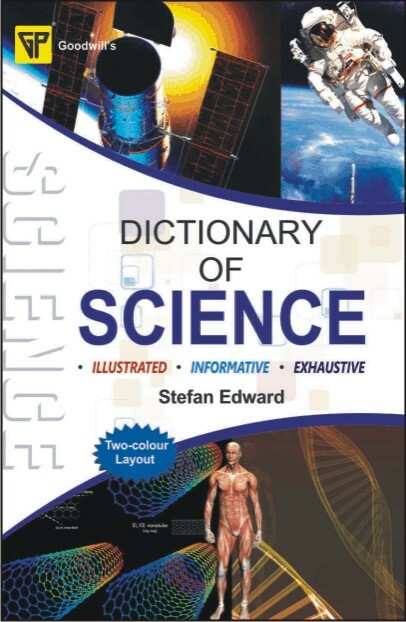 This comprehensive dictionary not only professionals and students, but also the layman who has frequent need for information about terms used in Science. 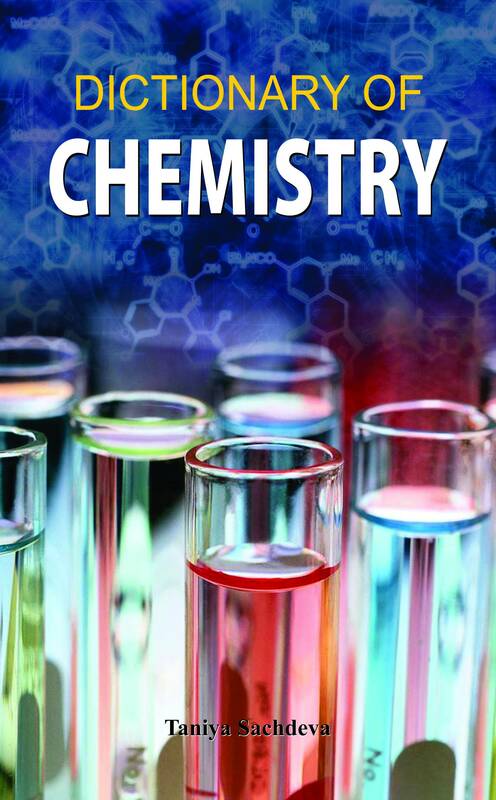 This book is taken from all fields of Science such as Physics, Chemistry, Botany and Zoology. 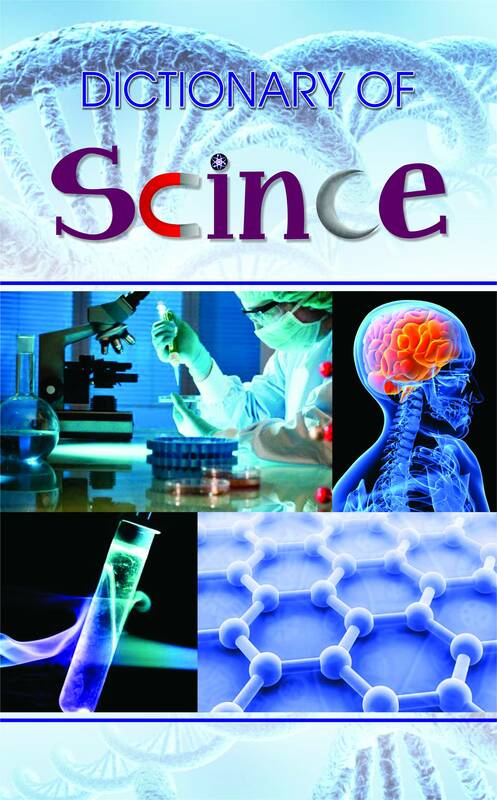 Various latest technological developments in the fields such as Nanotechnology, Biotechnology, Genetics, Bioinformatics, Computer Science, Information Technology and much more are dealt in details. Different laws, relationships, equations, basic principles and concepts are covered comprehensively and wherever possible explained with illustrations. The aim of this volume is to make the vocabulary of commerce easy to use and understand. 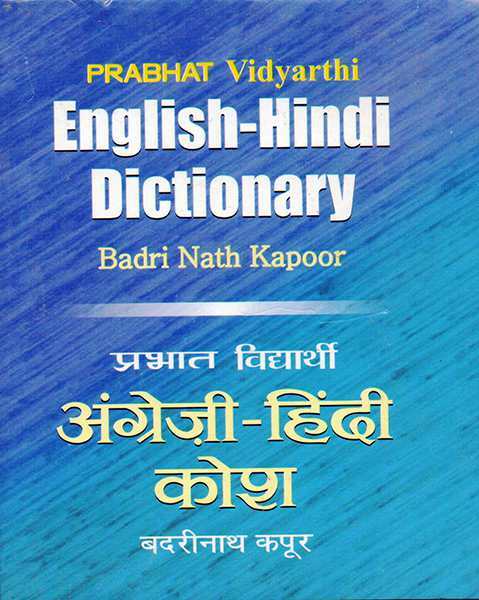 This dictionary is written especially for students who want to keep abreast in this subject. This volume includes all fields of commerce such as ecommerce, international commerce, maritime commerce, banking, finance, insurance and much more. The explanations of entries range from brief definitions of a few lines to discussions of various lengths. The reader who is a non specialist in commerce can also understand the meaning of different terms as they are presented in a clear and lucid manner. 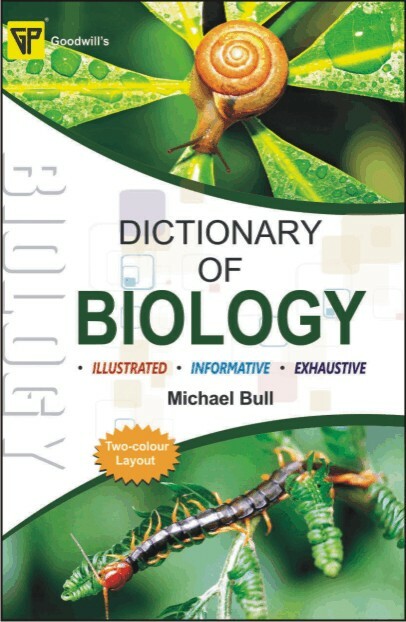 A very useful dictionary for all Secondary and Senior Secondary Students. 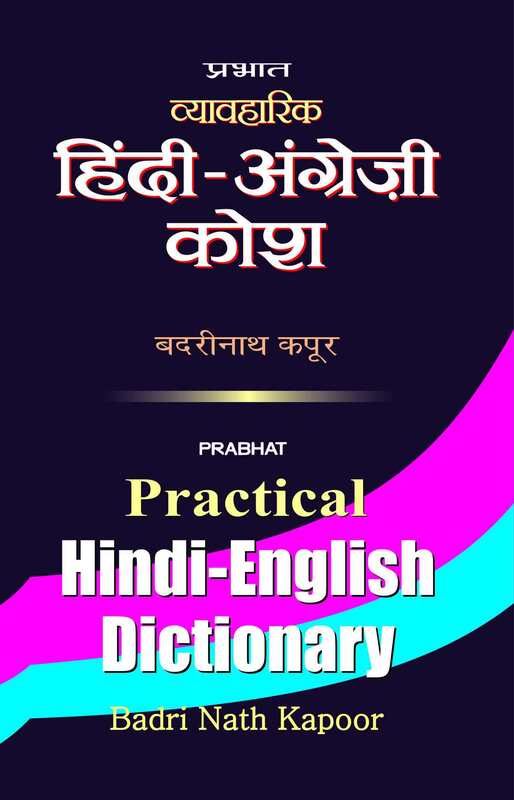 This dictionary is also useful for Candidates Appearing for Competitive Examinations. Money is the pivot around which a modern economy revolves. Finance is the life blood of business activities. Banking system, as an integral part of the financial sector, is the linchpin of any development strategy. Banking system, along with other constituents of the financial sector, helps to mobilise financial surpluses of an economy and transfers them to areas of financial deficit. It promotes savings by providing a wide variety of financial assets to the general public. Savings collected from the household sector are pooled together and allocated to various sectors of the economy for raising production levels. If the allocation of credit is judicious and socially equitable, it can help achieve the twin objectives of growth and social justice. This dictionary is designed to provide a useful, reliable, readable and single source guide to the all-pervasive field of money, banking and finance. It provides simple and easily comprehensible definitions and explanations of terms used in these areas worldwide. The terms, concepts and usages are given their most common definition. Readers will also find helpful illustrations of important terms. This reference work is intended as a practical tool for a cross-section of readership. It will be useful for teachers and students of economics, commerce, law, and management, and also for bankers, corporate executives, legislators and government officials. Meticulously cross-referenced, the dictionary is a comprehensive and invaluable source of essential information. An efficient capital market is an important constituent of a sound financial system. Capital market channelises household savings to the corporate sector and allocates funds to firms. In this process, it allows both firms and households to share risks associated with business. Moreover, capital market enables the valuation of firms on an almost continuous basis and plays an important role in the governance of the corporate sector. Dynamics of capital market require changes in the laws, rules and regulations on a continuing basis. Consequently, new terms and concepts and their definitions are added to capital market lexicon on a regular basis. This dictionary is designed to provide a useful, reliable, readable and single source guide to the all-important field of capital market. It provides simple and easily comprehensible definitions and explanations of terms used in this area. The terms, concepts and usages are given their most common definition. Readers will also find helpful illustrations of important terms. This reference work is intended as a practical tool for a cross-section of readership. It will be useful for teachers and students of economics, commerce, law, and management, and also for bankers, corporate executives, legislators and government officials. Meticulously cross-referenced, the dictionary is a comprehensive and invaluable source of essential information. Economics is not an easy subject to master. However, an increasing number of people wish to acquire a working knowledge of economic terms and concepts in their daily life. This dictionary is designed to provide a useful, reliable and readable guide to the all-pervasive field of modern economics. 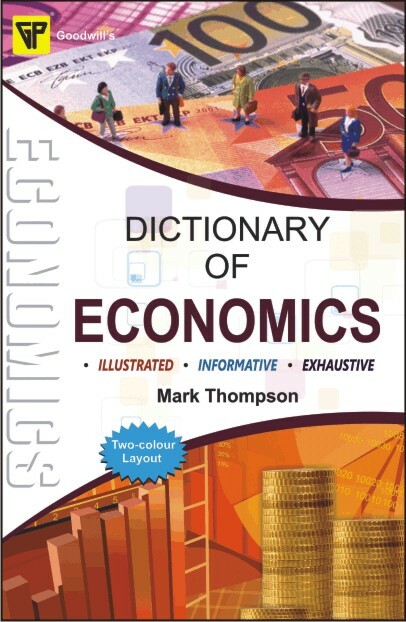 It contains a careful selection of key terms and concepts in economics which are considered important for a cross-section of readers including teachers and students of economics, commerce, law and management. This valuable reference work will also be useful for bankers, corporate executives, legislators and government officials. Both beginners and seasoned professionals will find it full of indispensable facts. The government is big and important in our times. We depend on the government to protect ourselves against external aggression, internal disorders, pollution, epidemics, social injustice, exploitation, unemployment and poverty. Furthermore, a government is expected to (a) provide educational, medical and housing facilities, (b) build roads, bridges and communication networks, (c) ensure personal freedom and enforcement of contracts and (d) maintain democratic institutions and cordial relations with foreign countries. Though the list is not exhaustive, it does provide an idea of the amplitude of the multifarious activities of modern governments. Public finance, as an important branch of economics, deals with government budgeting, taxation, public expenditure, borrowings, deficit financing, and intergovernmental financial relations. This dictionary contains a careful selection of key terms and concepts in public finance. Idioms have become a vital part of the English language. 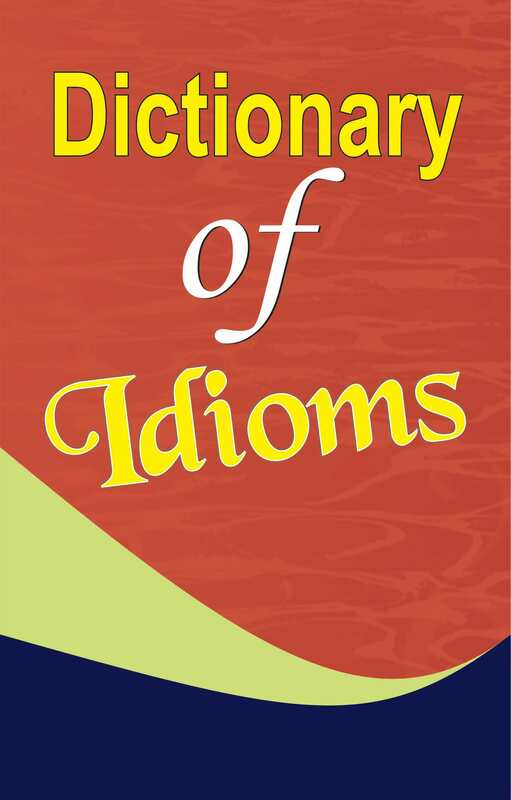 The words of idioms have become fixed and unchangeable on the account of their consistent use in the language. 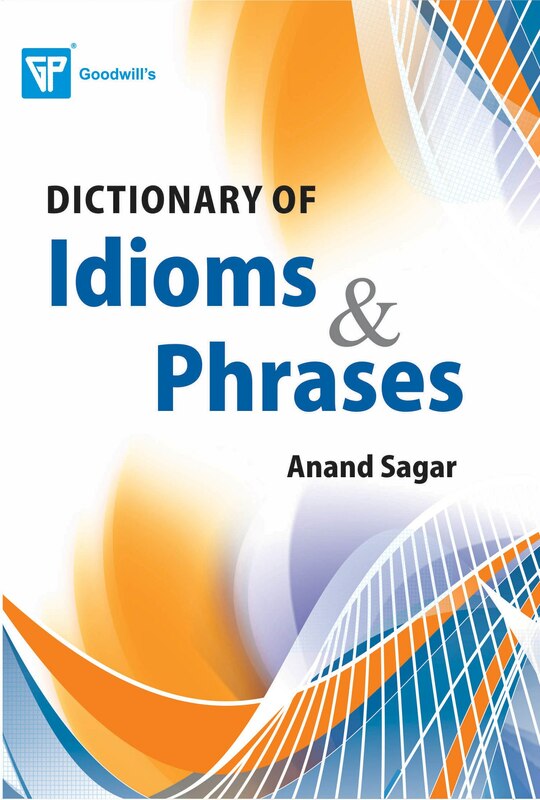 This dictionary claims a very special place in the learning of the English language as it also illustrate the true meaning of each idiom and phrase by providing its usage. 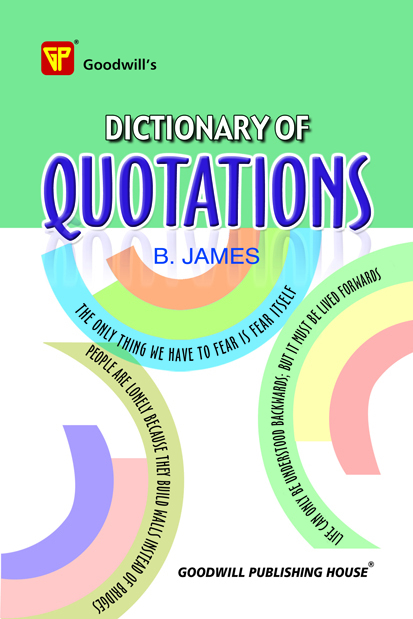 Dictionary of Quotations by B. James is a thorough collection of stirring and encouraging quotations of a number of great personalities and intellectuals from all over the world. 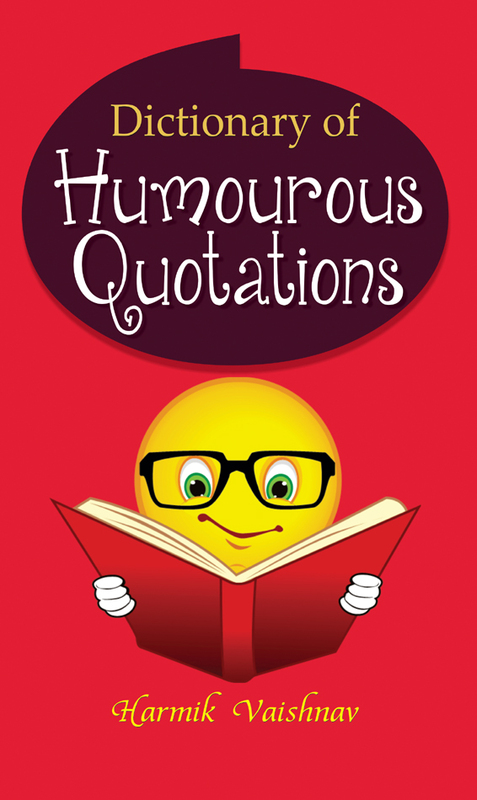 All the quotations have been given in alphabetical order. 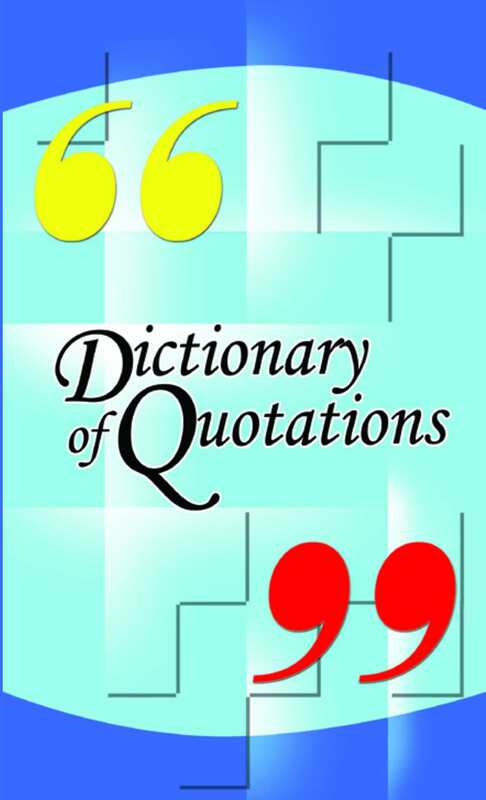 Hence, the readers would face no difficulty in finding the desired quotation. 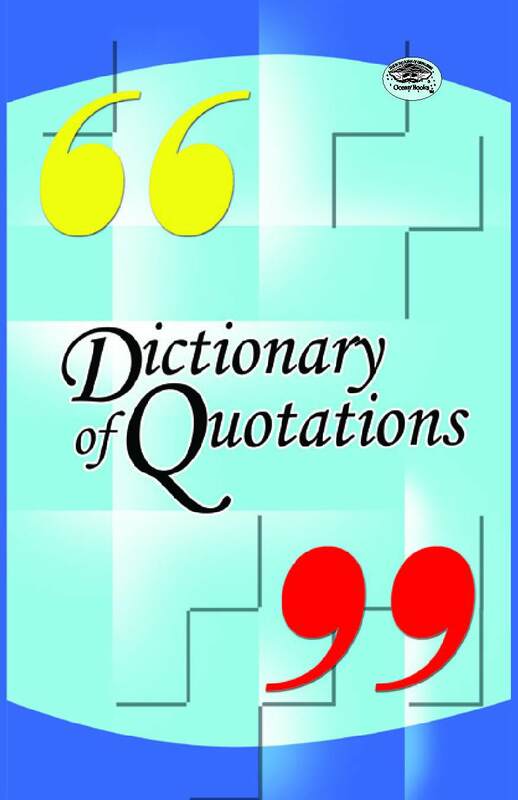 Using these quotations while speaking or writing is certain to pass on an ineradicable impression on everyone. The book would be hugely valuable for all. 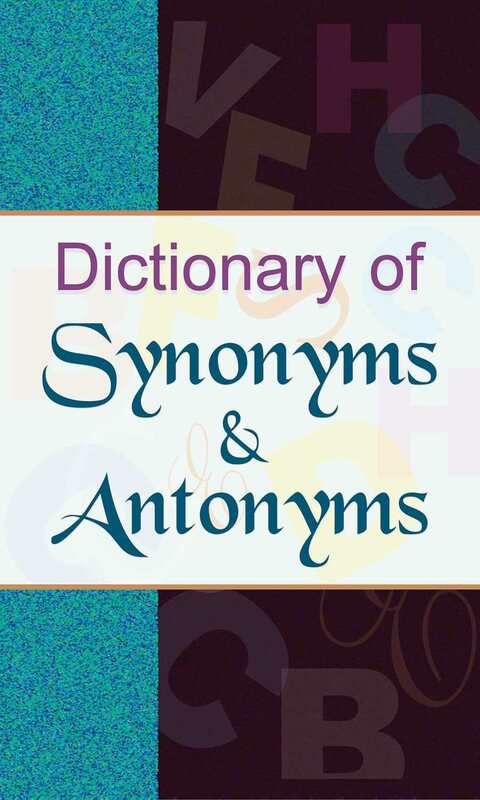 Synonyms and Antonyms are an important part of the English language. They greatly help develop one's vocabulary and word power. They have the potential to' equip the student with ability to choose the right word for the right expression. 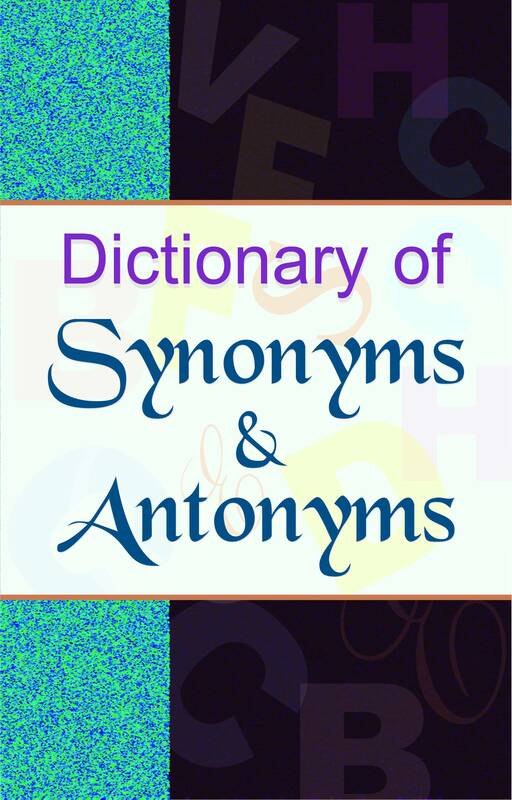 This dictionary is a discrete collection of synonyms and antonyms. It includes all the essential words that a student would need to be able to write any type of composition, essay, article, comprehension, paragraph, story, anecdote, letter, précis or summary. Dictionary of Proverbs by Jens Nelson is a unique compilation of more than seven thousand most trendy proverbs used in daily life. 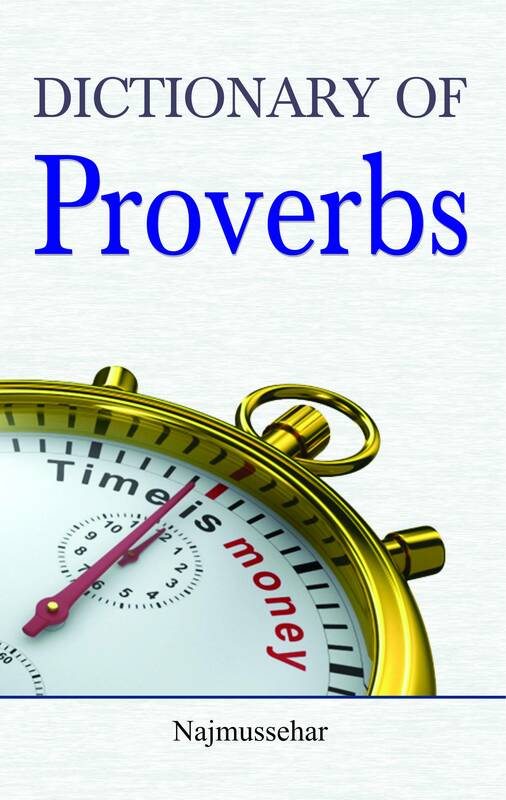 Proverbs included in the book will be very valuable for everybody, as they would add grandeur to their speeches and written articles. 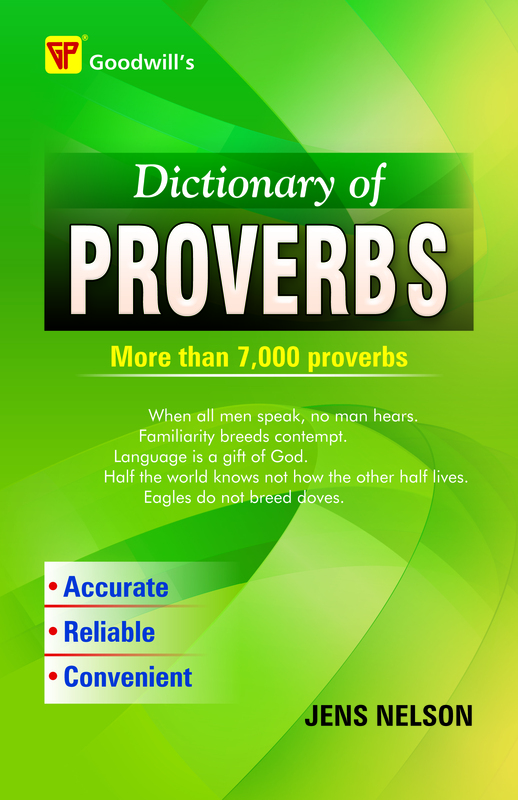 The proverbs included in the book are those used, in general, during verbal as well as written communication. With all its distinctiveness, the book is a must for all including general learners, students, teachers, authors, journalists and the like. Unlike math and science, writing has very few absolutes. To that end, we're faced with making choices, and many times those choices are word choices. Since I began teaching technical and business writing in industry years ago, one lesson never grew old an exercise on when to write the right word. Many writers confuse complement when they mean compliment, compose when they mean comprise, or assume when they mean presume. And hundreds of other mistaken word identities also exist. This Quick reference aims to filter this confusion of words. Remember, writing is much easier to comprehend when the noise around it is eliminated. 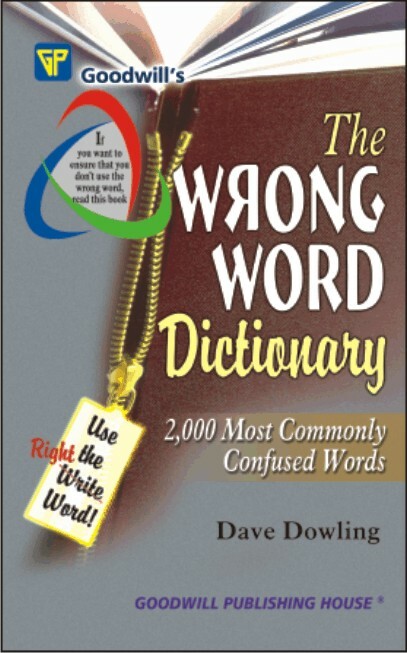 Though not inclusive of all word pair mistakes, this book speaks to the common word choices that challenge us daily. 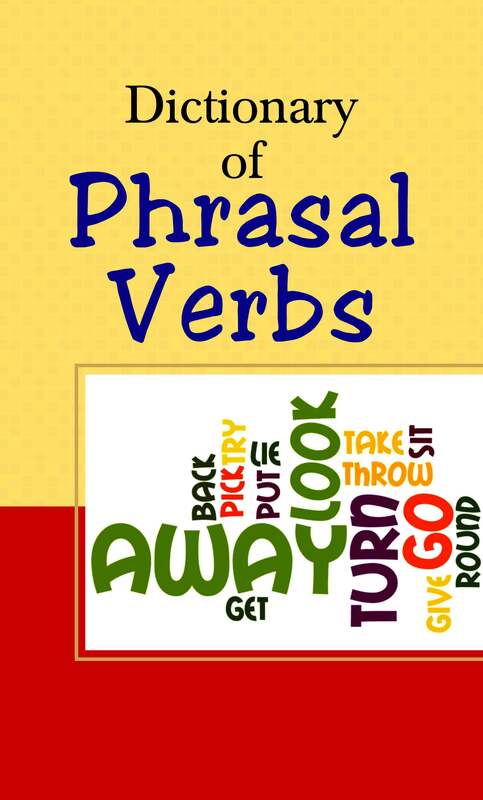 This book consists of more than 900 entries and the meanings of more than 2,000 individual words or phrases. Much of the content is based on word problems I've witnessed during my 25 years of business writing as well as the misuse commonly found in the online and print media. If you're looking for the basic homonyms such as to, too, and two, or here and hear, you won't find them here. But you will find the basic pronoun possessives (their, they're, there, who's and whose, and you're and your) because they still give us problems. I've tried to eliminate obvious synonyms (inedible vs. uneatable, simultaneous vs. concurrently, rare vs. scarce, etc.) and include just word pairs where the word distinction is still important yet challenging. Note that a few entries may seem trivial and others may seem a bit obscure or obsolete. But overall you'll find it a good mix of problem words (among vs. between, flounder vs. founder, blatant vs. flagrant), Also included are a few notes on phrases that often lead to problem writing (between you and I, one of the only, and others). For each entry in this reference, the difference between the words is explained, and in most cases, a short and simple sentence example showing the correct usage is provided. The word definitions provided are intended strictly as guides and not dictionary definitions. They should help you differentiate between the words. Current dictionaries, popular writing books, and reputable style guides were among the many' resources consulted for this book. The word list is arranged alphabetically according to the first word in the set. Always think about the words you use. Accuracy in word choice is a key to effective communication. In your daily writing, try to make sure you apply the right word for the right meaning. By doing so, its effect can affect your writing in a positive way. Chemistry is a vast and complex subject, which cannot be understood properly without the help of standard reference books. A number of difficult and complicated terms require additional reference books. 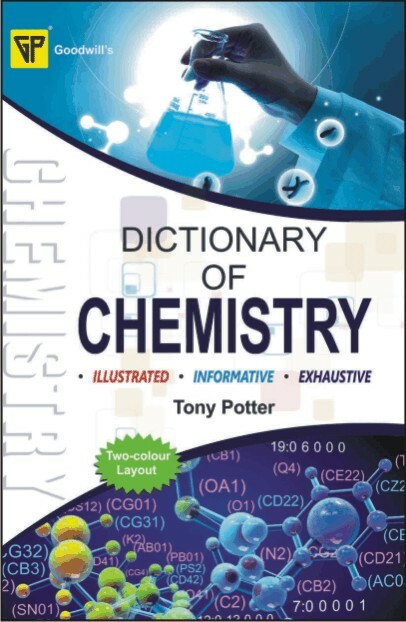 Dictionary of Chemistry, being one of the best and authentic dictionaries of Chemistry, thoroughly fulfils that need. Prepared referring to different authentic sources, the dictionary contains almost 3500 terms in 384 pages. Every term has been explained in simple and easy-to-understand language. Important formulae and figures have been given along with entries wherever necessary. The dictionary in two-colour layout, illustrative and exhaustive, is useful for everyone - students, teachers, scholars, researchers, laypersons and so forth. 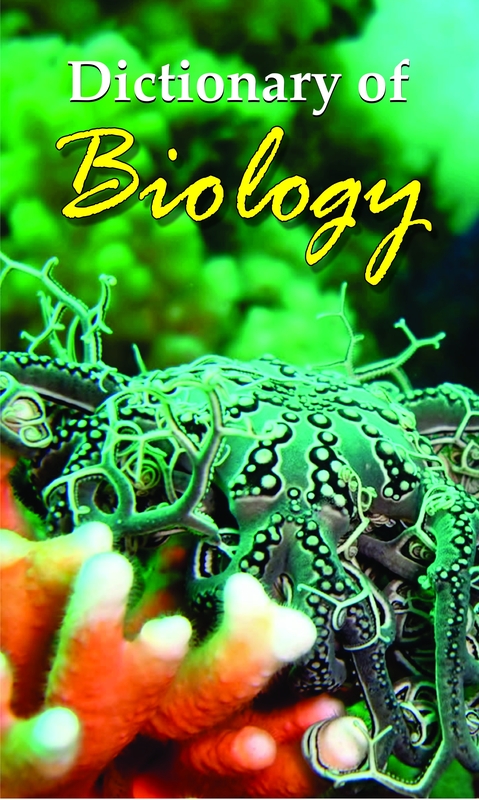 Dictionary of Biology comprises a wide range of terms chosen from all major fields of pure and applied plant and animal sciences such as Classification, Anatomy, Genetics, Ecology, Biotechnology, etc. Besides, it also covers the terms related to viruses and bacteria from the specified field of Microbiology. 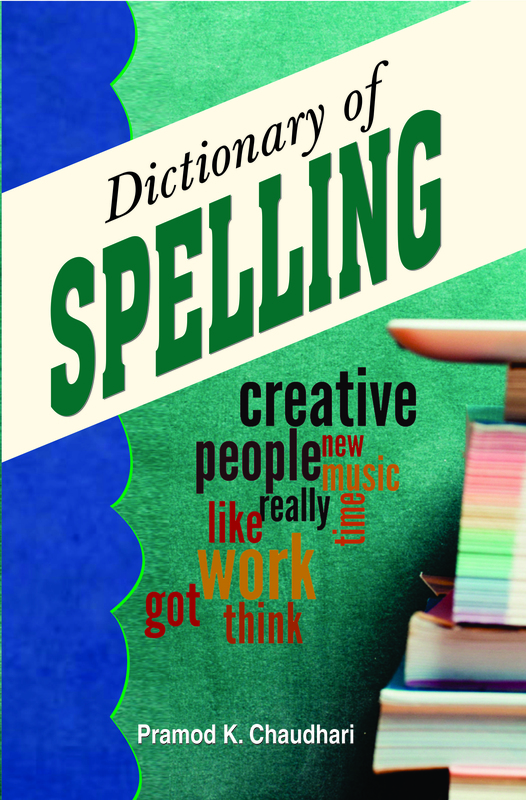 The Dictionary has 368 pages and covers almost 3600 terms, which are well-defined and well-explained. The dictionary is in two-colour layout. 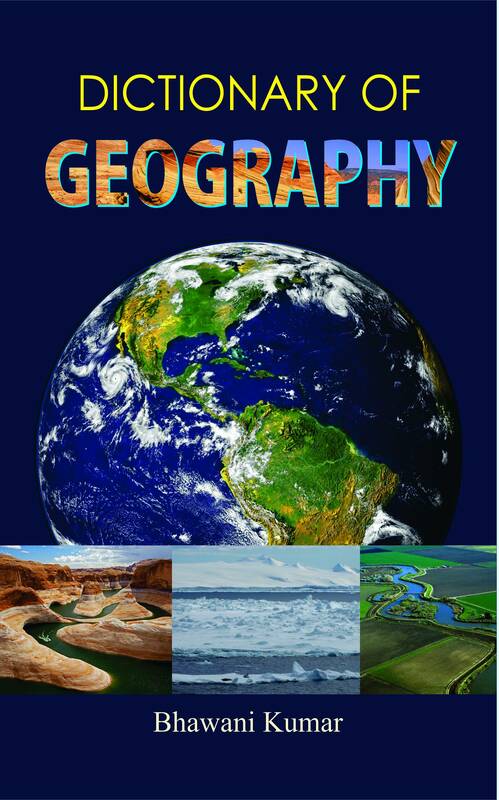 Its informative, exhaustive and illustrative approach makes it useful for the students and teachers of Biology, naturalists, geographers and researchers in the field. 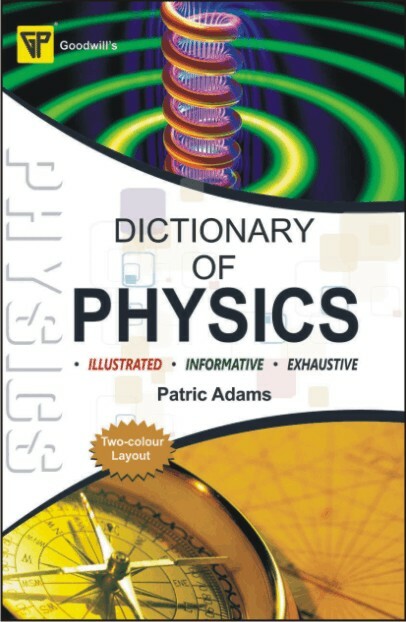 Dictionary of Physics, compiled to meet the needs of students, teachers, scholars, researchers, etc., comprises terms related to Physics. Each and every term in the dictionary has been explained in simple and easy-to-understand language. 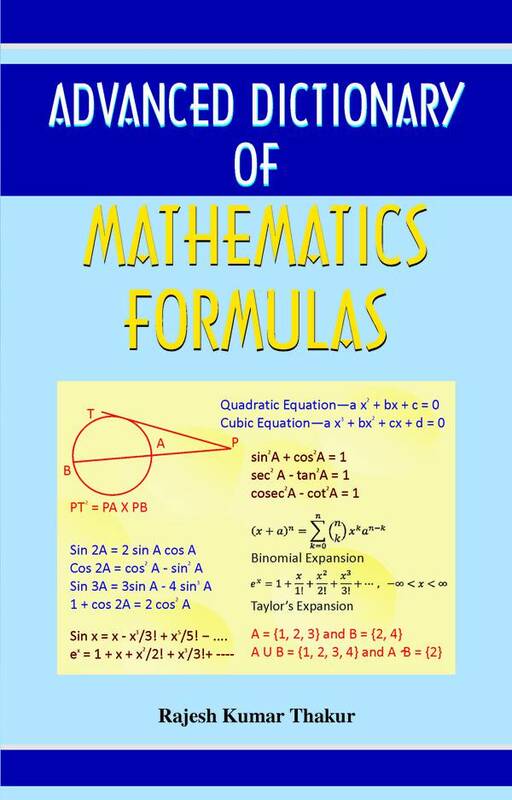 Wherever required, important formulae and figures have been given along with the terms. The illustrative, informative and exhaustive approach of this two-colour dictionary is useful for all. Printed on good quality paper, the dictionary contains 450 pages and around 4500 well explained and carefully chosen terms. With all its unique features and peerless authenticity, the dictionary is a must buy. 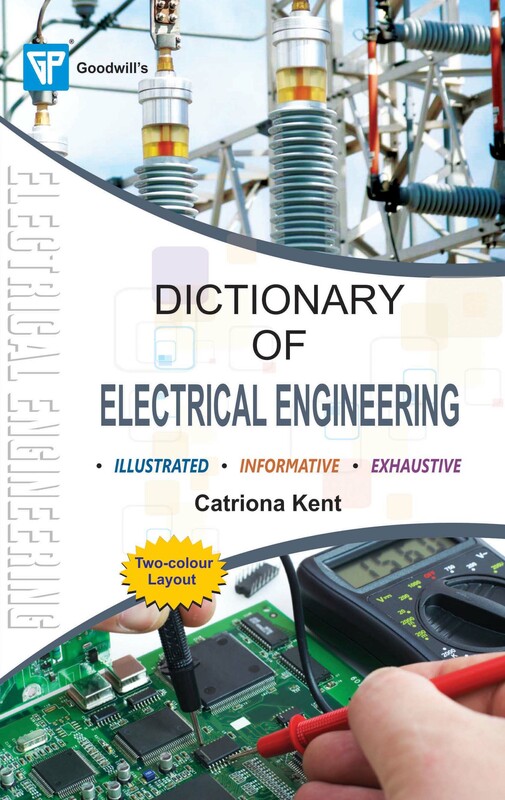 Dictionary of Mechanical Engineering covers a wide range of terms related to the subject. The definitions given in the dictionary are authentic and easily graspable. The dictionary also covers the terminology of the rapidly advancing areas of Mechanical Engineering such as Micromachining, Nanotechnology, etc. The dictionary covers almost 4900 terms in 496 pages. 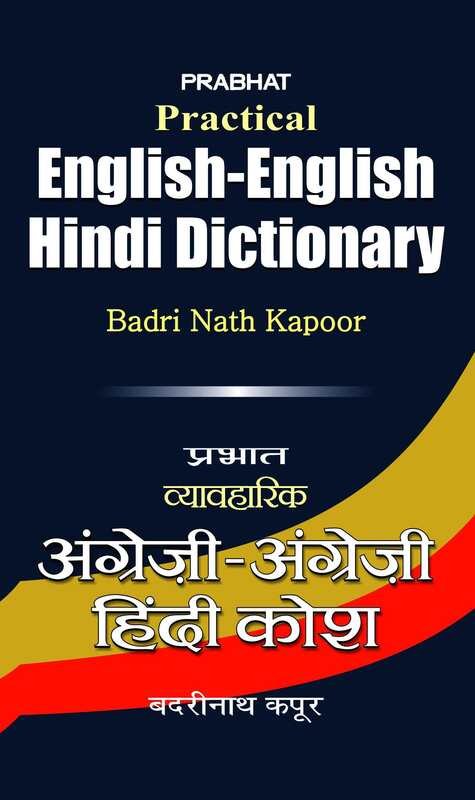 Two-colour layout and informative, illustrative and exhaustive approach of the dictionary will be very useful for the students of engineering, teachers as well as the technical professionals working in various fields of engineering. 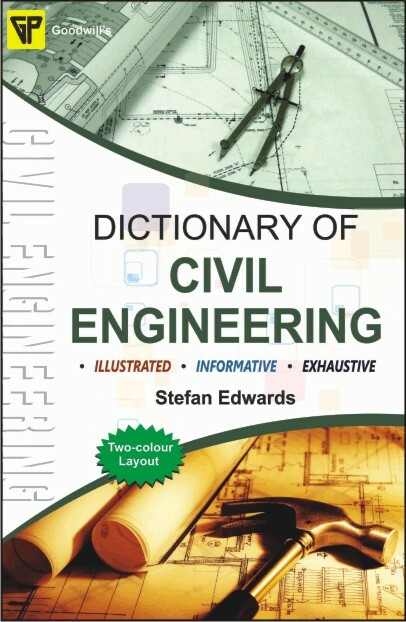 Dictionary of Civil Engineering is one of the best and authentic dictionaries of Civil Engineering available in the market. The author has painstakingly compiled it by referring to various authentic sources. Containing almost 4800 terms in 488 pages, the dictionary boasts of a wide range of coverage from all aspects of Civil Engineering such as structures, materials, geology, geography, hydrology, environment and mechanics. Every term has been explained in simple and easy-to-understand language. 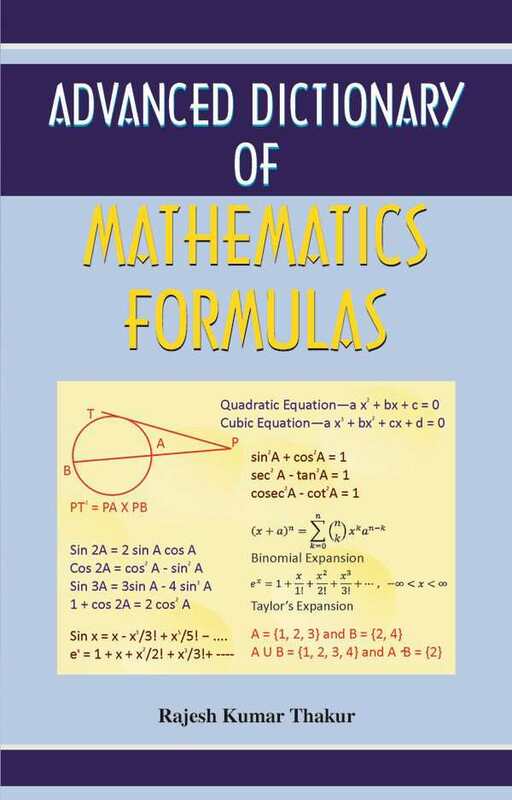 Wherever necessary, important formulae and figures have been given along with the entries. The dictionary is in two-colour layout, illustrative, informative and exhaustive. It is useful for everyone - students, teachers, scholars, engineers, researchers, laypersons and so forth. Dictionary of Economics comprises a vast range of terms, from classical to neo-classical, right up to the modern era. Both simple and complex terms have been defined and explained in such a way as every person may understand them without much effort. The dictionary has 408 pages and covers almost 4000 terms. It is printed in a two-colour layout, and its exhaustive, illustrative and informative approach makes it much more useful for students, teachers, professionals and researchers of Economics. It will prove an ideal reference source for everyone. 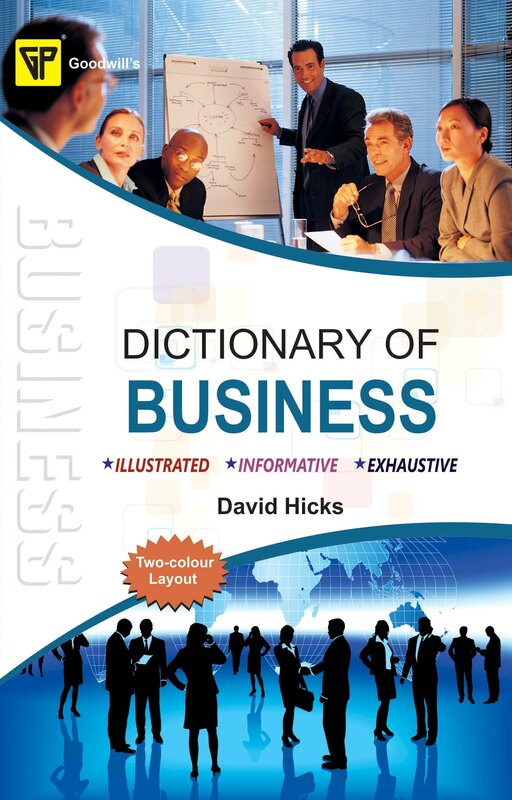 Dictionary of Business contains terms related to various aspects of business, its rules, regulations, operations and technologies. Each and every term has been explained thoroughly and in easy-to-understand language. The dictionary contains 336 pages and almost 3300 terms explained with illustrations wherever necessary. The dictionary is not only informative but also exhaustive. It is very useful for businesspersons, entrepreneurs, exporters, importers, and all those related to any form of business. 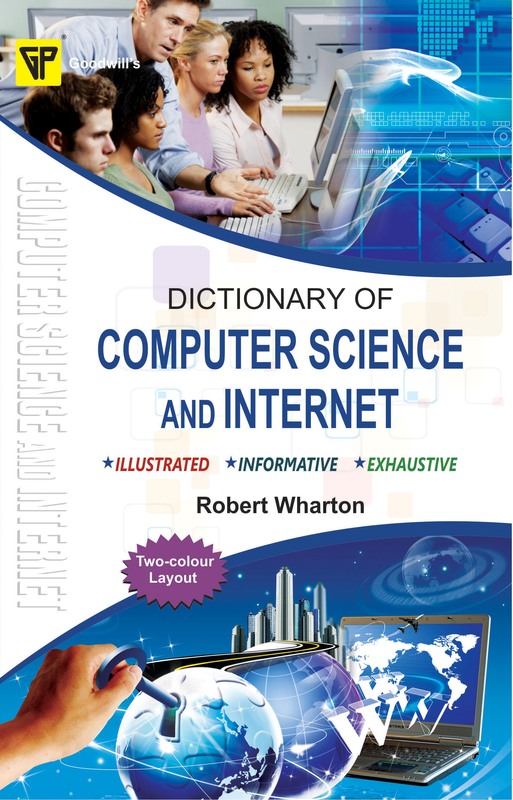 Dictionary of Computer Science and Internet comprehensively covers both the simple and the complex terms related to Computer Science and Internet. This feature of the dictionary facilitates basic as well as complex information on the subject. The author has painstakingly compiled it by referring to various authentic sources. Containing almost 3000 terms in 336 pages, the dictionary has a wide coverage from all aspects of Computer Science and Internet. Every term has been explained in simple and easy-to-understand language. The dictionary is in two-colour layout, illustrative and exhaustive. It is useful for everyone - students, teachers, scholars, researchers, laypersons, hardware and software professionals and so forth. 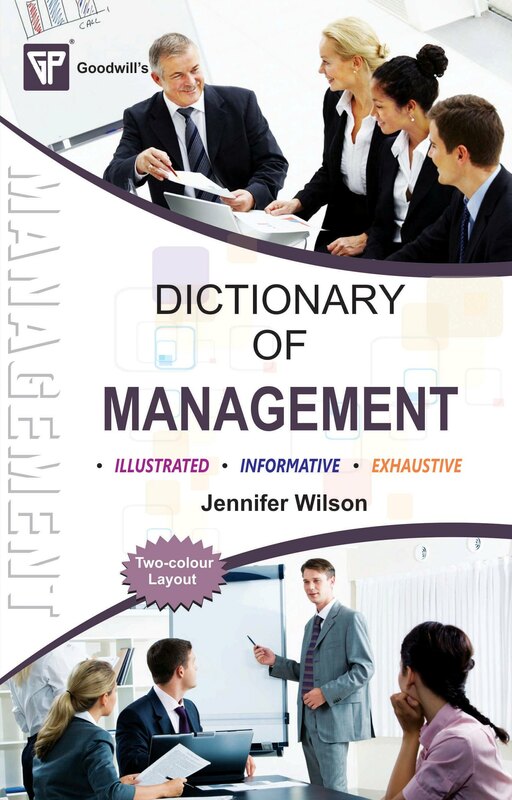 Goodwill's Dictionary of Management is the result of an extensive information search of various sources, including standard textbooks, journals, academic papers, reports, data mines and sites as well as interaction with experts in the field. The dictionary contains simple terms as well as complex terms relating to diverse applications of the principles of management. Since it is a rapidly advancing field, and its principles are being applied to more and more activities to deal with emerging situations, leading to evolvement of new methods, some new terms have come forth in recent times. The dictionary contains all such new terms. Each term has been explained in simple language and lucid manner with standard definitions given wherever necessary. 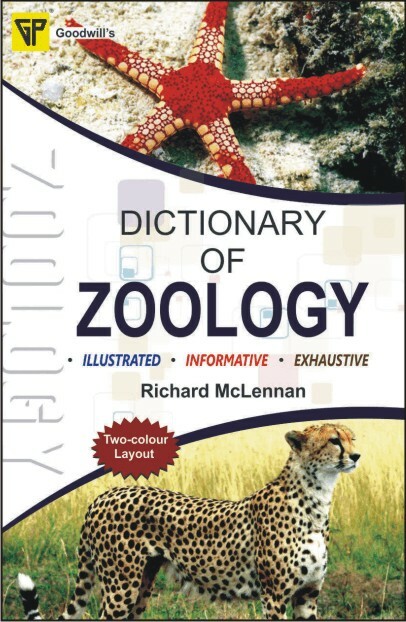 Another important feature of this dictionary is the inclusion of illustrations or diagrams, wherever necessary, to help in proper understanding of the related term. 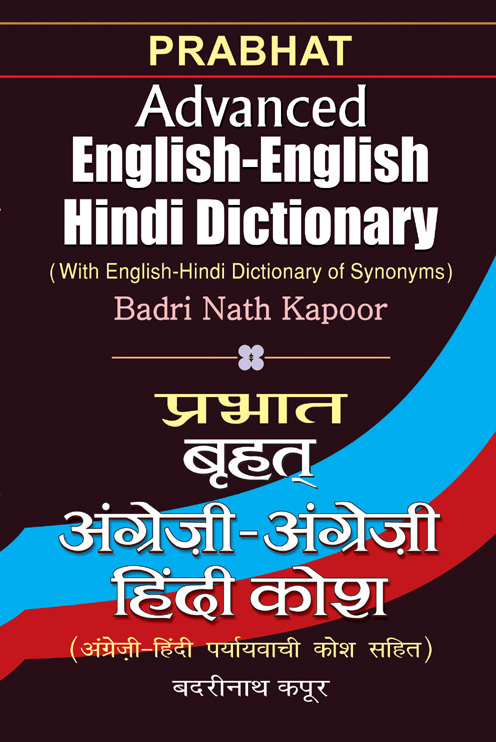 The dictionary will prove very useful to students, teachers and researchers of management, as well as to those preparing for various competitive examinations with management as an option. It will also benefit businessmen, executives and others holding management positions in any organisation, including HRD managers, entrepreneurs, and government officials dealing with projects, planning and other related works. It will serve as an ideal reference source for schools, colleges and institutes of management. 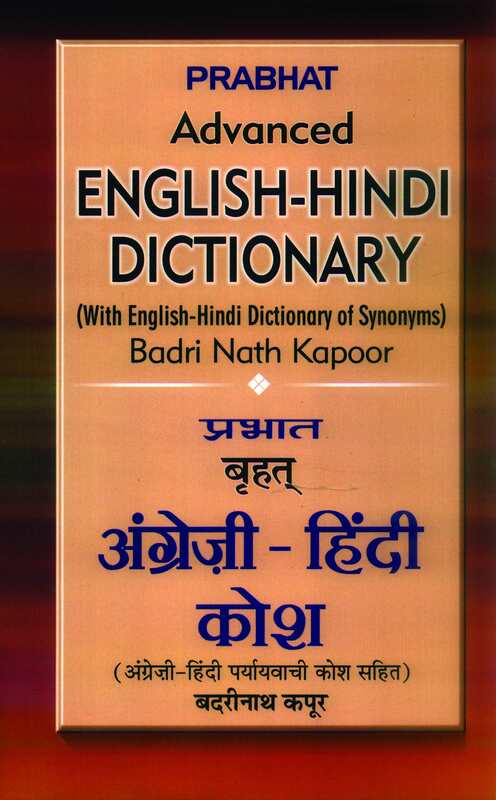 Goodwill's Dictionary of Electronics and Communications has been prepared by referring to various authentic sources including standard textbooks, science magazines and reputed journals from India and abroad, as well as by interacting with professionals and experts in the field. It boasts of a broad range of terms on electronics and communications including vacuum tubes, transistors, diodes, integrated circuits and associated passive interconnection technologies, telecommunication, signal processing; interconnection technologies various forms of communication infrastructure and so on. 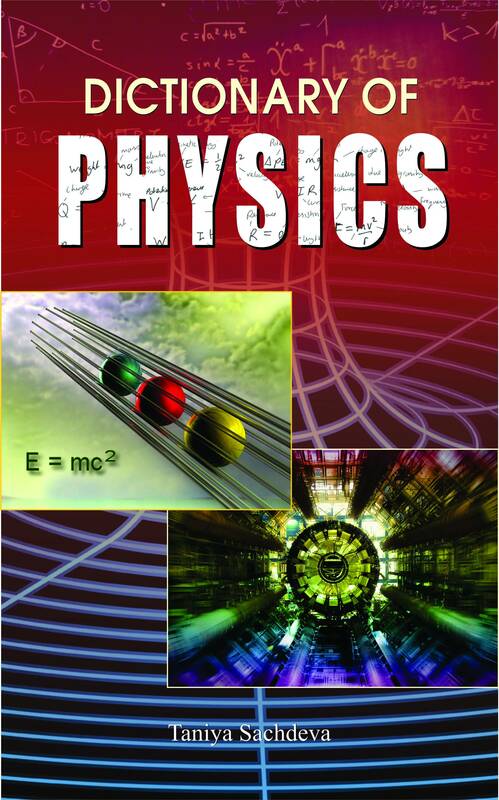 Each term has been explained in simple language and lucid manner for easy understanding by the readers. Standard definitions of technical terms have been provided. Important abbreviations, acronyms and phrases have also been included for the benefit of the readers. Entries on the latest terminology in pertinent fields have been provided. 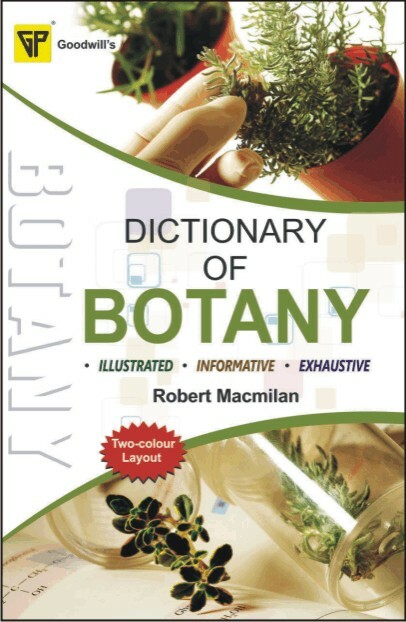 An additional feature of this dictionary is the inclusion of a large number of labelled illustrations for better and complete understanding of the related term. 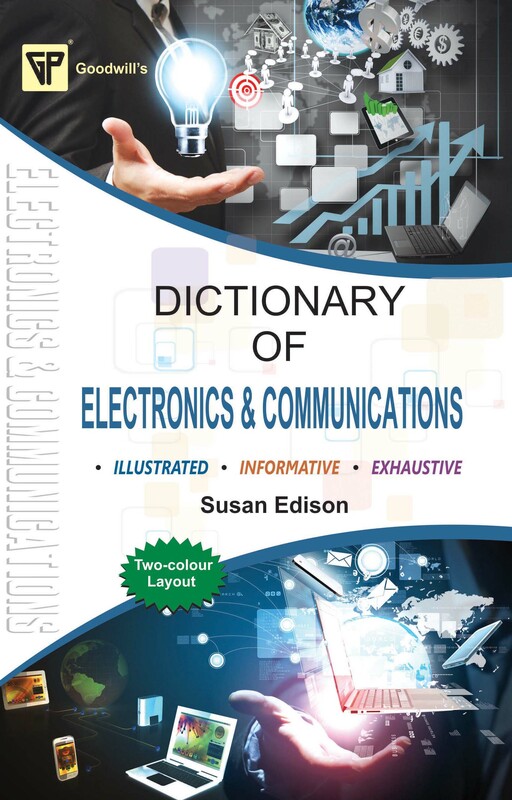 The dictionary is very useful to the students and teachers of electronics and communications. It will also help engineers, and all those concerned with designing, manufacturing or applications of electronics as well as communication systems. The professionals in the area of electronics and communication technologies will find it highly beneficial. 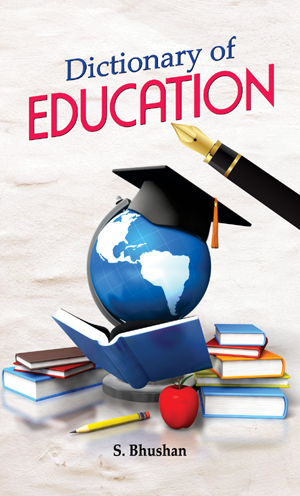 It will serve as an ideal reference source for schools, colleges and other educational institutes. Goodwill's Dictionary of Psychology is the result of an exhaustive information search from various authentic sources including textbooks and reputed journals from India and abroad, as well as interaction with experts in the field. It contains a wide range of terms relating to various aspects of psychology, including perception, cognition, attention, emotion, phenomenology, motivation, brain functioning, personality, behaviour, interpersonal relationships, clinical psychology, methods of assessment and treatment of mental health problems, therapeutic roles, psychotherapy, emotional distress, humanism personal growth, self-actualisation and self-identity, fears and various subfields like Jungian psychology, Gestalt psychology, existential psychology, cognitive psychology, industrial and organisational psychology, social psychology etc. Modern terminology has been included to keep the readers up to date on latest developments in psychology. Each term has been explained in simple language and lucid manner for easy understanding by the readers. Standard definitions of technical terms have been provided. Important abbreviations, acronyms and phrases have also been included for the benefit of the readers. 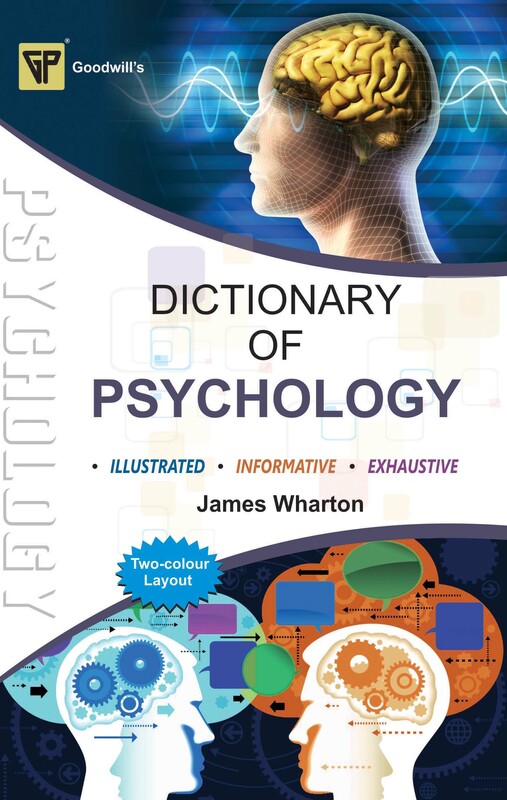 The dictionary will prove extremely useful to the students and teachers of psychology at graduate and postgraduate levels, and researchers in this field. It will serve as an ideal reference source for psychologists, counselling psychologists, doctors and all those concerned with various aspects of human behaviour and mental functions. 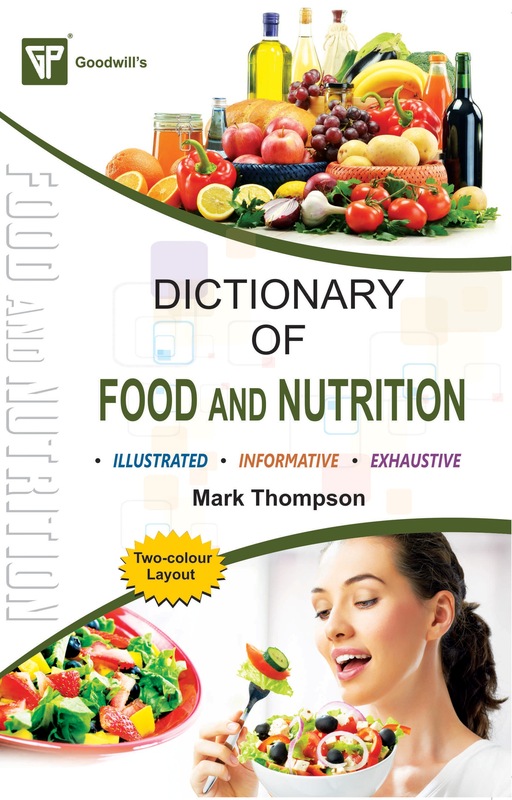 The Dictionary of Food and Nutrition has been prepared by referring to various authentic and reliable sources--textbooks, journals, magazines, encyclopaedias. culinary books--as well as by interacting with experts of the subject. It contains both simple as well as complex terms, which provide basic information about a wide variety of dishes from all over the world. 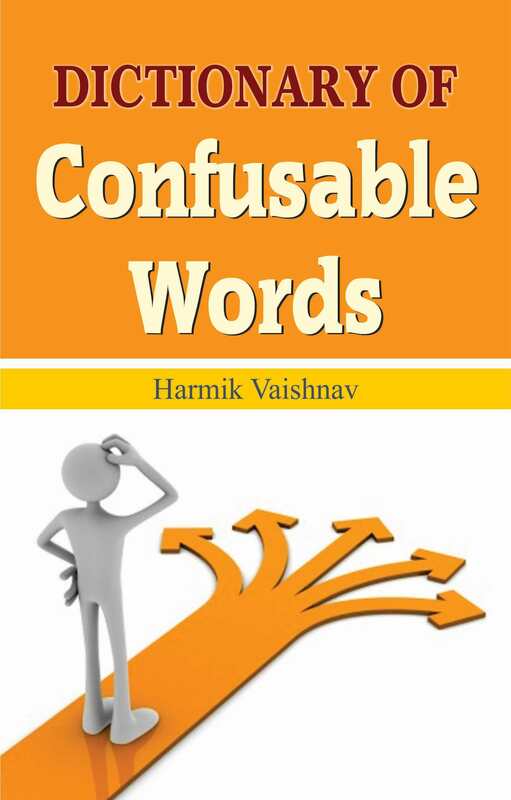 The dictionary consists of more than 6,000 entries explained in easy-to-understand, simple and lucid language. They cover food items from almost every part of the globe. Particular attention has been paid so as to cover almost every cereal, pulse, fruit, vegetable, mushroom, bird, animal, fish besides a whole host of seafood. There are entries on condiments, wines, liquors and nutrients like carbohydrates, fats, minerals, proteins, vitamins, fibre, amino acids, etc. Nutritional facts and food values of various food items and delicacies have also been mentioned wherever necessary. To make the dictionary much more interesting and comprehensible, illustrations of a large number of popular dishes have been included. The dictionary will be very useful for cooks, chefs, meal planners, caterers, students and instructors, as well as for those concerned with home economics and food technology. It will prove to be a handy guide for everyone. 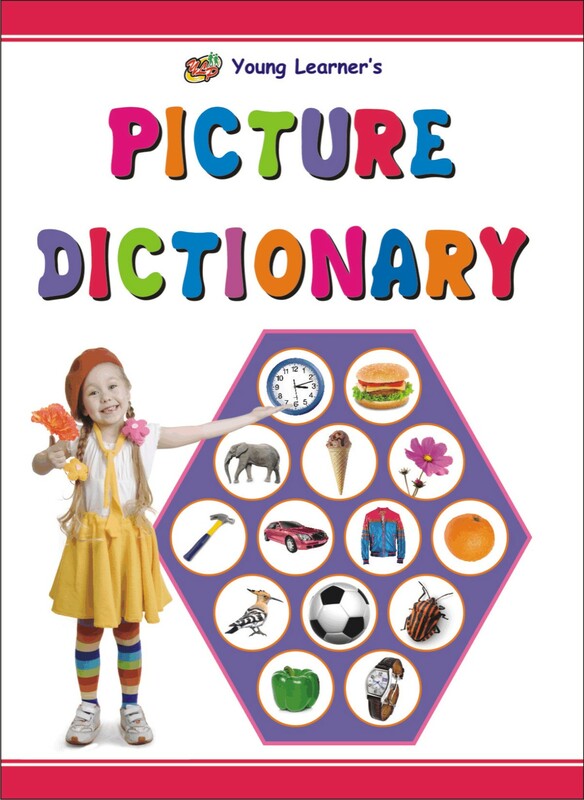 Picture Dictionary contains almost 1000 very common but essential words which a kid must have knowledge of at very early stage of his/her learning. 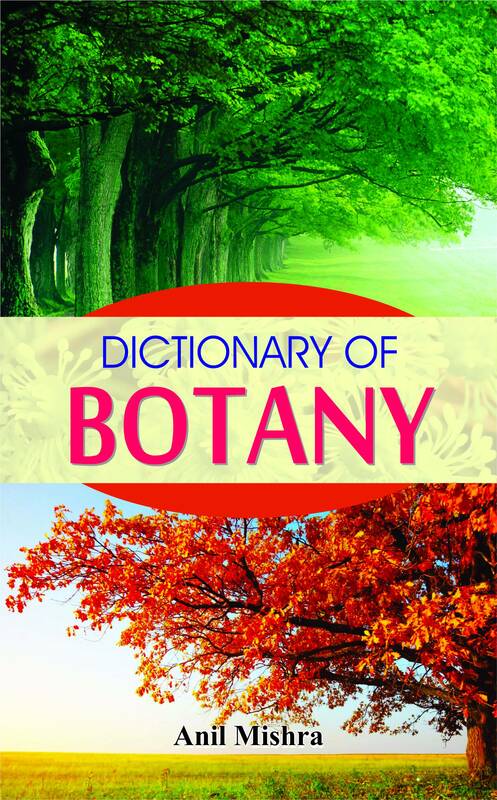 The dictionary contains words relating to human body, family, food, plants, trees, garden, pets, animals, house, dresses, toys, games, musical instruments, transportations, and so on. A picture for every word has been given so that the kid can learn and understand the word effortlessly.